These few habits that can help you manage your fleet effectively while reducing operational costs. Learning from Fleet Complete customers around the world, we have compiled a list of basic principles that can help you to improve your fleet operations by making you—the fleet manager—a lot more effective in the process. Ditch the whiteboards and paper folders for task management and allocate jobs straight from your mobile device to see progress to completion within the app. It not only helps you save a lot of time on filling in all documents manually, but you also know staff availability and location. You can dispatch the right job to the right person within seconds without having to make any phone calls. 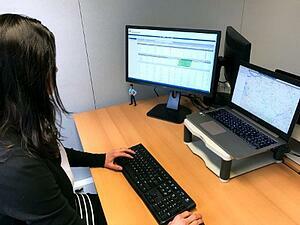 Furthermore, manage your entire fleet from one screen and see what is happening remotely in the field. 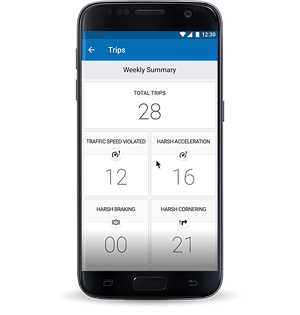 Know where your crew and vehicles are, their productivity levels, and all the fleet metrics you need, including fuel consumption, drivers’ working hours and mileage. In order to be on top of your fleet operations, you need to make sure you have set the appropriate key performance indicators (KPI’s). 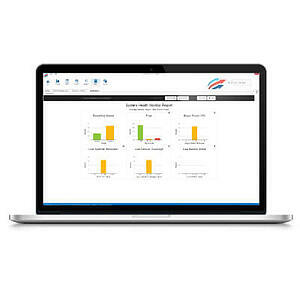 For example, you can set different KPI’s for measuring safety, efficiency, compliance and overall fleet performance. A few metrics that give insight into safety include speeding incidents, harsh acceleration and braking, corner handling incidents, crashes. When it comes to efficiency you can track cost per kilometer, fleet availability rate, vehicle utilization and downtime. 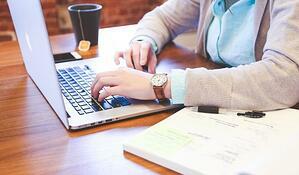 In terms of compliance, you could track available hours of service and violations. In other words, monitor and measure specific data that directly impacts your fleet. This also helps to calculate total cost of ownership(TCO) for your fleet and better plan your budget. Fleet management software helps you to have all the rights metrics in place to make data-driven decisions. Some of our customers have achieved great success through incentivizing drivers for doing a good job, e.g. achieving high fuel efficiency, performing vehicle inspections regularly or exhibiting good driving performance. Set performance standards for all drivers and use gamification to motivate them. Gamification of a certain product means that it inspires some healthy competition with yourself in order to get motivated to improve on a regular basis. You can see this in many health apps, like Fitbit and its step count, for instance. Vision by Fleet Complete provides that gamified experience for driver behaviour in order for your fleet to gain optimal driver and vehicle safety support. This innovative technology not only delivers driver assistance and in-cab coaching, but also a dedicated driver dashboard where they can track their performance and improvement rates. As a fleet manager, you can analyze driver scorecards to identify individual and fleet-wide weak points to address in training. Conversely, you can build an incentive program to encourage positive results. For example, at the end of each month, you can reward the best driver, based on the scorecard data. Sometimes, drivers tend to neglect or postpone routine vehicle service and maintenance. It is time-consuming and cumbersome. Yet, vehicles that receive regular maintenance and check-ups break down less, use less fuel and have a longer life expectancy. 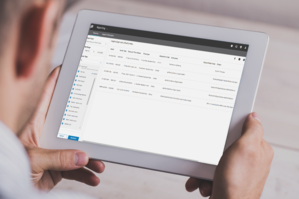 If you want your drivers to keep up with the scheduled vehicle maintenance, you need to simplify maintenance management by making it mobile, automated and accessible to everyone. Fleet Management software with mobile accessibility and automated service reminders can really make a difference. It is important to keep up with all the changes in the industry. Join an industry association, read trade publications and blogs (like this one), be updated on new regulations and keep up with all the innovations in technology. As you read up on new technology, think of ways you can use it, and whether it would benefit your business. Company carsharing, autonomous vehicles and demand prediction were mentioned by several industry leaders in the Web Summit this year in Portugal. Software is improving the way people move, and if you have accurate data on your vehicles, you can make educated decisions and better use of your resources. In this age of technology and information, everything you need to be a successful fleet management expert is right at your fingertips.